General David Petraeus was brought before the US Senate Select Committee on Intelligence today as part of his confirmation as the next director of the Central Intelligence Agency. ­The general, who has been called the “rockstar four-star” and the architect of modern counterinsurgency, was well-received by Republicans and Democrats alike. “He is, without question, one of the finest military minds of his generation. He's presided over the shifting of our momentum in Afghanistan and victory in Iraq when defeat often seemed inevitable,” said Senator Dianne Feinstein (D-CA). “I’m asked quite often — as are all of us — what do you think should happen in Afghanistan? And my first response is: ‘Whatever General Petraeus says, that’s the direction we ought to go.’ That's the kind of respect I have for you,” said Senator Saxy Chambliss (R-GA). 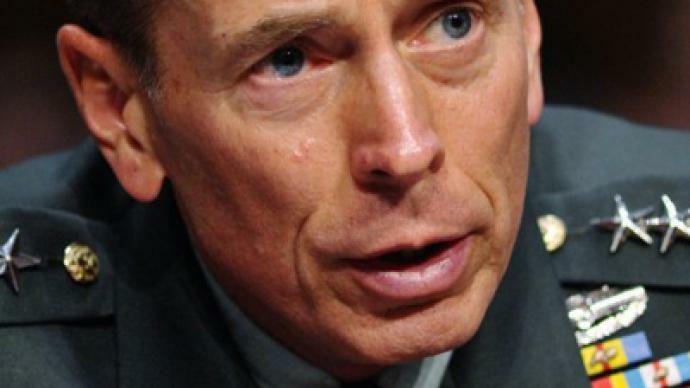 Petraeus also defended his positive analyses of American success in Iraq and Afghanistan. “In truth, my goal in uniform has always been to convey the most forthright and accurate picture possible. I have, to be sure, offered more positive estimates than the intelligence community did,” Petraeus said. Although he’s been lauded as the man responsible for America’s victory in Iraq, former CNN Pentagon Correspondent Jamie McIntyre said Petraeus has his detractors. “A lot of people see him as ambitious and calculating, playing the system telling the American people what they want to hear. And a lot of people also think that this success the US is touting in Iraq is vastly overstated,” McIntyre said. But Retired Colonel Douglas Macgregor said Petraeus is better at navigating Washington than a war zone. “It's called the green zone hero. These are your senior officers who have never actually saw any action, who never have themselves been under direct fire, and have never pulled a trigger and killed anyone in combat,” said Macgregor. And although President Barack Obama called Petraeus a “lifelong consumer of intelligence,” Macgregor said he’s skeptical about whether Petraeus will fit in at the CIA. Former special agent Jack Rice talked to RT about his thoughts, and brings a unique perspective after spending much of career at the CIA. He points out that this won’t be the first time that CIA head was a “military man” and says that you need to keep those entities apart. “The real problem is this: the reason you want these organization separate is because you don’t want everybody looking at a problem from the same perspective,” says Rice. He cites September 11 as a prime example, and said that America’s “failure to connect the dots” was caused by everyone looking from the same angle.